A weak chin can throw off the symmetry of an otherwise attractive face, making the nose seem larger and creating jowls. 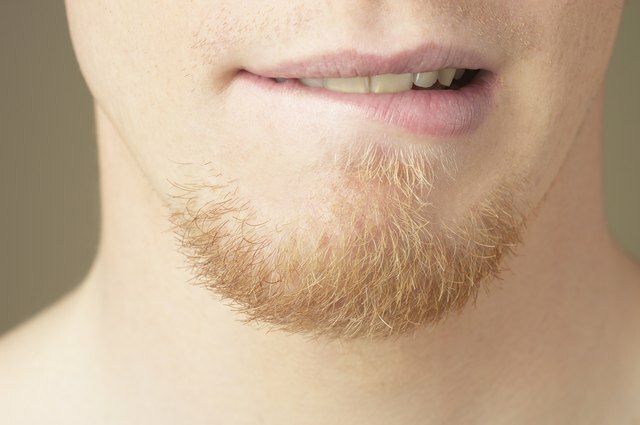 While a weak chin isn't something you can build up like muscles, there are a number of ways for men and women to make the jaw line appear stronger without resorting to surgery. Use makeup. Dab a blush brush in bronzer and cover the area right beneath your jaw line and chin. Be sure to blend so the color isn't obvious. Next, highlight the tip of your chin with a light powder. Again, blend so the powder doesn't stand out. This highlight and shadow will emphasize your chin. Style your hair appropriately. Chin-length hair cuts will only draw attention to your chin. Any hair cut 2 inches below your chin or 1 1/2 inches above it will detract attention from your chin. Curly or layered hair often helps as well; the volume will redirect focus. Grow a beard. The texture and color will create the illusion of a stronger jaw line. Improve your posture. Walking with your head held high will force your chin to slightly protrude. Walking with your chin drawn in toward your chest will flatten and weaken it.